A new vineyard for BBR, the Talley was for me the stand-out wine of our visit. The fruit is ripe and approachable and there is an impressive level of complexity here that keeps the focus of the wine and the drinker. 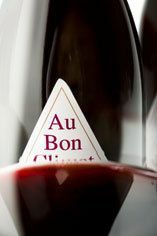 Founded in 1982, Au Bon Climat (which means "a well-exposed vineyard") produces internationally-recognized Pinot Noir & Chardonnay from grapes grown in California's Santa Barbara County. Located at the foot of one of California's most rated vineyards, Bien Nacido in the Santa Maria Valley, one of the finest sites in California, ideal for the production of the refined, Burgundian style of Chardonnay and Pinot Noir to which Jim so aspires, ABC, as it is more commonly referred to, has won universal acclaim for its wines thanks to Jim 'Wild Boy' Clendenen, its winemaker & owner. 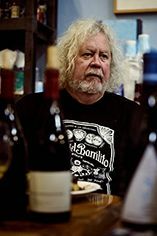 He regards Burgundy as the benchmark to which he should aspire and buys clones of Pinot Noir from Burgundy in a bid to replicate as closely as possible the restraint and finesse of the wines from that region. 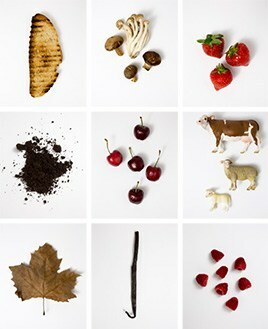 Jim eschewed a career in law for the lure of the vine following a month's stay in Burgundy & Champagne when he was 21. He has never looked back, although he is frequently to be found darkening the doors along the stretch of the Cote d'Or. Unsurprisingly his wines combine the minerally precision & grace of Burgundy with the flair of the West Coast. Au Bon Climat Chardonnay is fermented and aged for 11 months in French oak barrels from François Frères, with a small proportion of new oak. Most of the fruit is picked at optimum ripeness but a little is picked early for natural acidity while some is picked late to add an extra flavour dimension. The Wild Boy version is deliberately made in a more opulent style. Each of the reserve cuvées and single vineyard wines has its own distinct style consistent across the vintages. Knox Alexander, named for his son, is from a hillside site planted with the best Pinot clones now available.